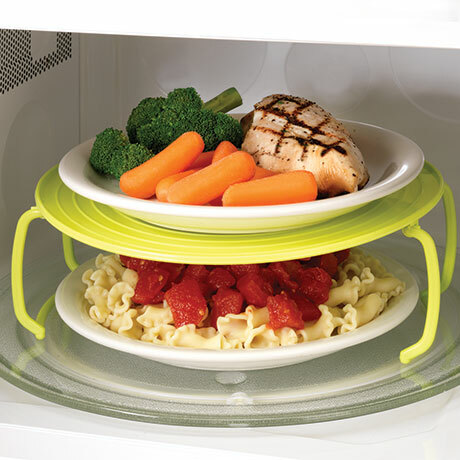 This 4-in-1 versatile tray doubles the cooking space in your microwave, inverts with folded legs for a handled trivet for lifting hot dishes out safely, or is perfect to use as a cover to reduce splashing. 9 3/8" diameter. BPA Free.